Mornin' everyone! 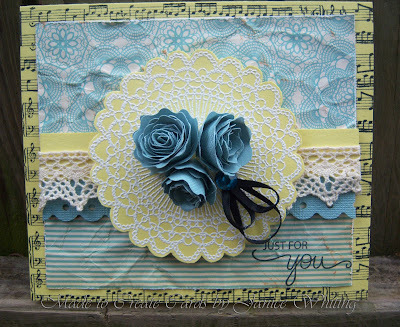 Here is a card I made for a couple of challenges! 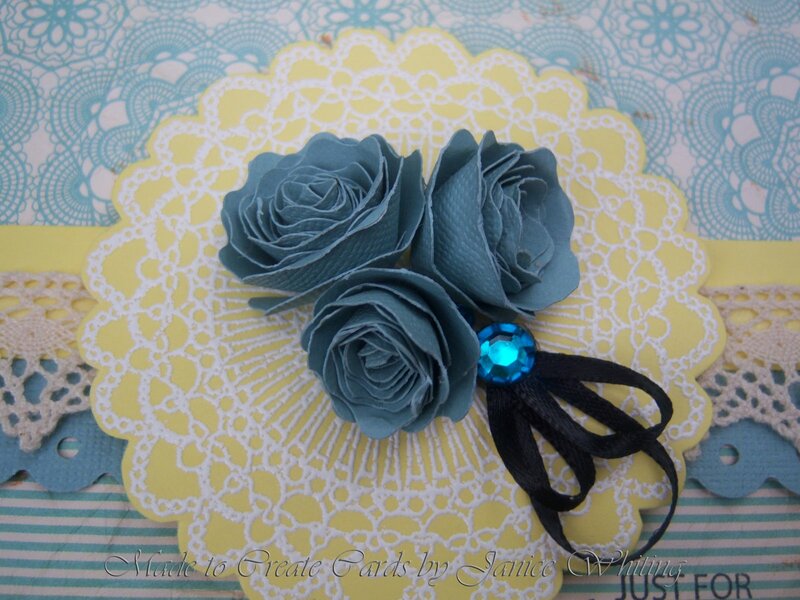 I tried out making some paper roses that I learned how to make over at the lovely Nina Brackett's blog! You should go check it out, it is great! Her stamps ROCK!!! Ok, so this will be like my fourth or fifth entry in the Stampin' Sisters in Christ challenge #35, and this is also my StampTV April Release color challenge entry.